The race to build the tallest building in the world has had its fair share of competition. There’s the Burj Khalifa in Dubai, currently the world’s tallest skyscraper, standing at 2,717 feet; Shanghai Tower, which topped out at 2,073 feet; the 1,972-foot-tall Makkah Clock Royal Tower in Mecca, Saudi Arabia; and One World Trade Center, which towers 1,776 feet above New York City. With so many supertalls in the marketplace already, and with more on the way, how does a supertall survive in this competitive landscape? But wherever the building-to-building race stands at any given time, there’s little doubt which region leads the charge for supertalls (buildings that stand over 984 feet, or 300 meters, in height, as defined by the Council on Tall Buildings and Urban Habitat). Asia already claims more than half of all tall buildings in the world. Taipei 101, and the CTF Finance Centre in Guangzhou, China, rank among the top 10 tallest buildings worldwide, and new towers are being developed that could give them a run for their money: Forum 66 Tower 2 in Shenyang, China, and the Wuhan Center in Wuhan, China, among them. China alone will have 154 supertall office buildings by 2018, according to CBRE Research. A high density of tall buildings represents a booming financial center — or at least that’s the perception — and the expectation is often that the taller the buildings, the more competitive a city’s business environment will be. “With all of these supertall buildings in development, it can seem like there’s always someone trying to beat the other,” says Tony Long, global president of asset services for CBRE. Overreliance on a “build it and tenants will come” strategy can have the inverse effect, particularly if cities are focused too much on attracting a certain segment of industry — financial sector tenants, for example — at the exclusion of other major global occupiers. Overreliance on a “build it and tenants will come” strategy can have the inverse effect. Instead, greater attention should be placed on working with local and national governments, which can have a considerable impact on the business environment, says Long. “Afterward, you have to engage a third-party company that is in the flow of large global transactions, especially major global services and advisory companies,” he adds. At the same time, a strong business environment, political stability, transport and telecommunications infrastructure, along with reputational factors like innovation, can help a city establish itself as a regional or global financial center, according to CBRE Research’s The Emergence of Asian Supertalls report. Launch property branding and marketing efforts while the supertall is still in design stage. Begin pre-leasing during the construction stage with an eye towards securing an anchor tenant 12-36 months before completion, which can bring immediate credibility and “de-risk” the building. Shoot for 50 percent occupancy as soon as possible, which will put landlords in a stronger position. Implement a tactical rental strategy to offset concessions given to anchor tenants once occupancy reaches 50 percent. Strive for a rental premium to the market, perhaps 10 percent. A company considering leasing space inside a supertall building may be doing so because of a need to relocate due to a lease set to expire, a need to expand, or a desire to boost its image. 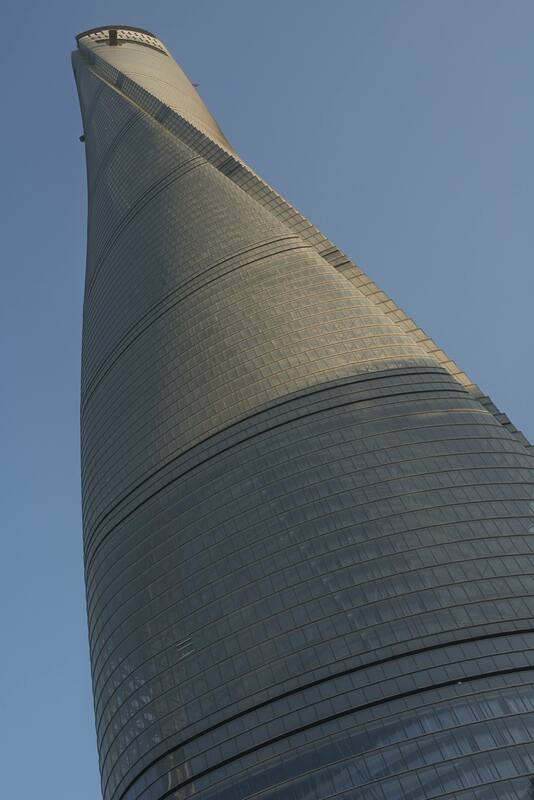 Shanghai Tower, designed by architectural firm Gensler, is the second tallest building in the world at 2,073 feet and 128 floors. Supertalls offer the prestige, the larger floor plates and the desirable locations that older buildings cannot provide, says Long. The amenities also play a crucial role. It also boasts the world’s highest non-enclosed observation deck, according to Thornton Tomasetti, the engineering firm behind Shanghai Tower. “It’s really a city within a building,” says Long. Another notable feature of Shanghai Tower is its elevators, built by Mitsubishi Electric, which have been dubbed the fastest in the world (they can travel at 59 feet per second). The elevators are equipped with pneumatic controls to counteract the changes in atmospheric pressure to ensure passengers a more comfortable ride. The scale of the operations of a supertall from a systems and personnel perspective will be “enormous,” says Long. “There will be thousands of people coming and going in and out of these buildings on a daily basis,” he says. “All of the infrastructure systems of these supertalls require a high level of sophistication and coordination with a staff that will number in the several hundreds on site,” Long adds. There is a certain kind of fame that comes with being a supertall building, and that’s a good thing, says Long. “If you’re in One World Trade Center in New York City, that’s a globally famous address,” he adds. With major global companies always on the lookout for young talent, having an instantly recognizable address can play in these companies’ favor. “There is this war for talent among service companies, and to get this talent, you often need to offer an exceptional, differentiated work environment for these employers to flourish,” says Long.